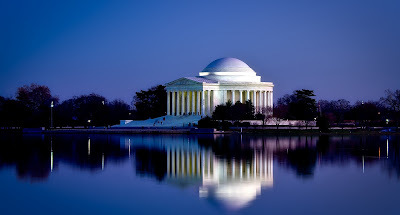 Yesterday kicked off the Institute for Supply Management's Tech conference in Washington, D.C. An evening welcome reception and supplier display greeted attendees and set the tone for an exciting three days of educational sessions, networking opportunities, and innovative consultations with suppliers and providers. With the convenience of so many supply management professionals in a collaborative environment, attendees can strategize with experts to discover the best options that fulfill all their technological needs. In addition to identifying solutions for existing challenges, representatives from top providers are available to offer insight for potential growth opportunities by utilizing technology to gain a competitive advantage and bring a business to the next level. For Day 2, supply management professionals attended a variety of presentations discussing how new technological innovations of today are influencing the future, and which advancements are allowing businesses everywhere to stay ahead of their competition. Some of the hot topics to be covered include the role of artificial intelligence in the future, robots outside of the manufacturing line, and best practices for procuring software and technology. Attendees also have the opportunity to hear from experienced leaders in their industry as they advise the most efficient methods for identifying, mitigating and managing risk. The day concludes with a session on the future impact of supply chain, IoT and analytics followed by supplier displays for attendees to discover solutions and services that will support them in all their technological needs.Tomorrow will be the final day of the conference, featuring a panel with data experts providing their insights on how the transportation revolution is driven by data and wrapping up with a keynote addressing technological advances that are outpacing humans across a variety of sectors. Source One's information technology and services team members have enjoyed meeting with other industry experts and collaborating during the sessions at ISM Tech 2017. With their extensive background creating and implementing sourcing and procurement initiatives for clients of a variety of industries, the experts at Source One can assist with business intelligence, data center management, IT managed services, software development and more. ISM Tech 2017 is one of the events hosted by the Institute for Supply Management in anticipation of their international annual conference in May. As the exclusive sponsor of the ExecIn subconference at ISM 2017, Source One looks forward to the future opportunities to network with other supply chain experts from around the world. 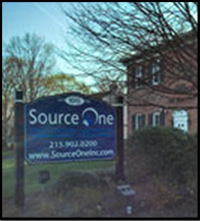 For more information on Source One's offerings, visit the team online at sourceoneinc.com.